Much is written about the York remnant after Henry Tudor came to power in 1485. The fate of men like John de la Pole and his brothers is well documented, but what about the women who suddenly found themselves on the wrong side of power? 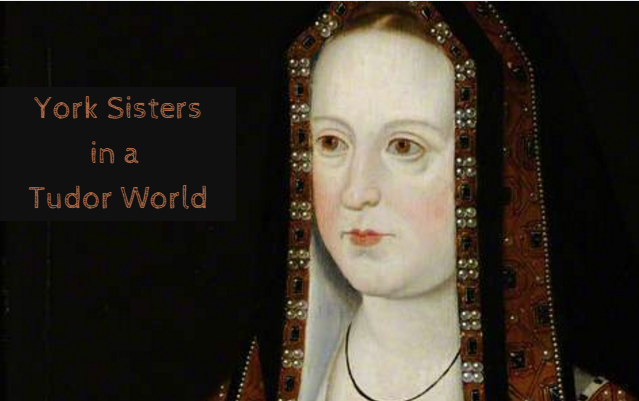 No one knew this struggle more than the daughters of Edward IV and Elizabeth Woodville. They had been raised as royal princesses but were then named bastards of a dead king. had four sisters who were destined to whatever future Henry determined for them. The oldest of these sisters, after Elizabeth, was Cecily. She had been married to a man named Ralph Scrope during her uncle’s brief reign. Documentation of this marriage or the reasons for it are sparse, and it was quickly annulled when Henry came to power. Henry chose a man who could be counted completely loyal to his Tudor king for Cecily’s second husband. John Welles and Cecily seemed to find happiness together, though both of their children predeceased him. Upon Viscount Welles death, Cecily attended her sister in various roles for three years before following Woodville family tradition and making a scandalous third marriage with Thomas Kyme. Cecily would learn whether love made up for wealth when Henry confiscated her estates in his anger over the unapproved marriage. One hopes that this final marriage enabled Cecily to find happiness away from court, but the record of her fades before her death at age 38 in 1507.
was nineteen years old. She spent some time at court serving her sister, but little else is known of Anne of York. She found favor under Henry VIII, as evinced by gifts of estates made to her, but she died shortly after his ascendancy, leaving no surviving children. The next York sister has a well documented history. Catherine was one of many English princesses considered for a Scottish match before she was married to William Courtenay. He spent significant amounts of time in the Tower for his traitorous words regarding Henry VII’s reign before his death in 1511, shortly following his reinstatement as Earl of Devon by Henry VIII. Their son, Henry Courtenay, initially found favor with the new King Henry until he found himself on the wrong side of Henry’s Great Matter. He was executed, along with Henry Pole and Nicholas Carew, as a result of the supposed Exeter Conspiracy in 1538. Catherine, who had taken a vow of chastity after William’s death, did not live to see her son executed, though she did outlive the remainder of the children of Edward IV. She died in 1527 before her family’s fall from favor. The final York daughter was Bridget, born less than three years before her father’s death. Bridget entered the Dartford Priory in 1490, though it is unknown if this was to honor a plan of her father’s, her own wishes, or due to other reasons. Evidence of Bridget’s study of Catholic saints exists, and she spent the remainder of her life as a nun. She died in 1517, never foreseeing the dissolution of the priory that would occur under her nephew, Henry VIII. Each of these sisters lived under the reign of their sister, Elizabeth, who was the first Tudor queen and mother of Henry VIII. Her story may be the most intriguing of all, as she bore and buried her own share of royal babes and must have always wondered about the fate of her lost brothers, who became known as the Princes in the Tower. Did she believe them murdered by her uncle? What did she think about the appearance of Perkin Warbeck, claiming to be her younger brother, Richard? Of course, there is no way to truly know, but I attempt to give answer to these questions when I tell Elizabeth’s story in Plantagenet Princess, Tudor Queen. Samantha Wilcoxson is a history enthusiast and author of three novels, including her latest which is a Kindle best seller in the US and UK. Author of Plantagenet Princess, Tudor Queen – The Story of Elizabeth of York. She lives in Michigan with her husband and three children. You can connect with Samantha at SamanthaWilcoxson.BlogSpot.com or on Twitter @Carpe_Librum. Just noticed a typo. Should say Elizabeth was 37 when she died in 1503, not 38 in 1507. Probably meant to change the 8 to a 7 and changed the 3 instead. Ooops!